In addition to manufacturing the highest quality custom skylights, Skylight Concepts is an industry leader in commercial skylight repair and replacement services for all types of skylights. This may range from simple leak repair to complete removal and replacement in existing and occupied structures. Our capability to perform our work while allowing our customers to continue business as normal has made us unique in the skylight industry. Many of our customers are national in scope and look to Skylight Concepts for all their skylights needs. Our well trained technicians ensure your skylight system maintains its leak resistant capabilities, energy efficient performance, and cosmetic appeal. 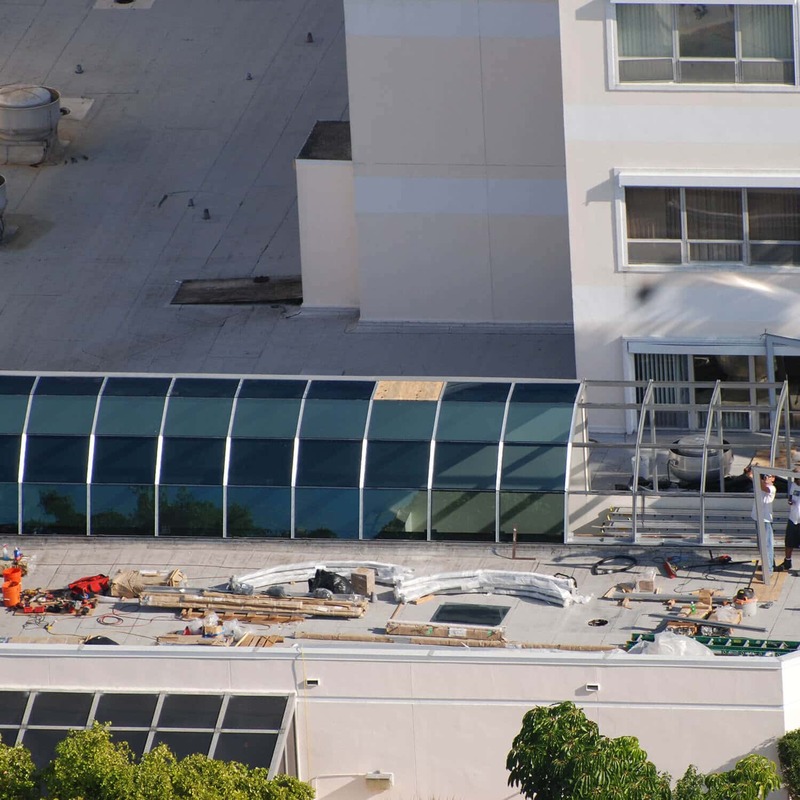 Whether repairing, refurbishing, re-glazing or replacing existing skylights, our company has the skills and capability for a turnkey solution to any skylight project anywhere in the United States or Caribbean. We work with our customer’s budget to provide the highest quality workmanship and materials that serves as a testament to our company and yours. Skilled technicians are available to repair any level of damage or disrepair to existing skylights no matter the style, type or size including products by any manufacturer. This could involve new glass, gaskets, sealants as well as new aluminum extrusions and flashing. We offer complete analysis of your existing project with detailed reports suitable for annual reviews, budget projects and capital planning. In many cases our customers wish to upgrade to a high performance insulated glass panel or laminated safety glazing, especially if the current glazing material has failed or showing signs of imminent failure. With over 60 years of experience refurbishing skylights we can advise our customers on suitability of refurbishing an existing skylight versus replacing with a new skylight. If the existing skylight still falls with the parameters of the current building codes, our team can bring the skylight as close to factory condition as possible. This may include carefully removing old waterproofing material, pressure bars and beauty caps and replace such materials to proved a new improved cosmetic look, but most importantly a watertight skylight. Skylight Concepts excels at commercial skylight replacement (Retrofitting) of out of date, old or unsafe skylight systems that may potentially fail. This service ranges from engineering analysis of the existing skylight and structural support system, required structural upgrades, life safety implementation that protects our customer and allows them (i.e. active hotel or commercial business) to operate without concern from overhead work.